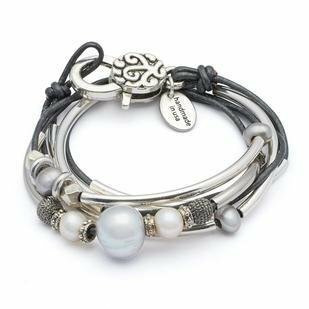 The Princess is a 2 strand leather wrap bracelet that can also be worn as a necklace. Adorned with freshwater pearls, silverplate crescents, and silverplate and glass beads. Handmade in the USA.